My friends, Dave and April, were married on Saturday. I was lucky enough to be along with the wedding party and take a few candids at the Nikka Yuko Japanese Garden in Lethbridge. 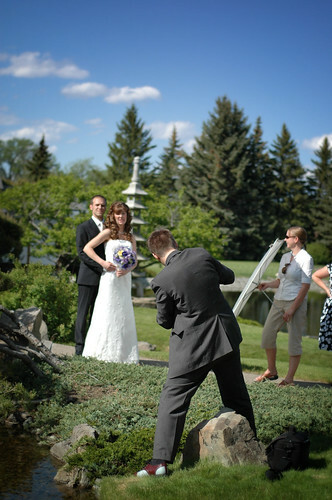 LETHBRIDGE – 31 MAY 2008, David Logue and April (Matise) Logue pose for wedding photos in Lethbridge’s Japanese Garden. It’s a great place to take photos; I highly recommend it.